The 24 speakers at the 2015 Pipeline Conference included Denver Law students, faculty and staff; faculty members from five additional law schools; admissions officers and representatives from Denver Law, Colorado Law, Washburn Law and Wyoming Law; and four local attorneys. In addition to plenary sessions for all attendees, the conference included break-out sessions designed for undergraduate students and for high school/middle school students. Students registering to attend the conference came from 24 colleges and universities and 33 high school and middle schools. 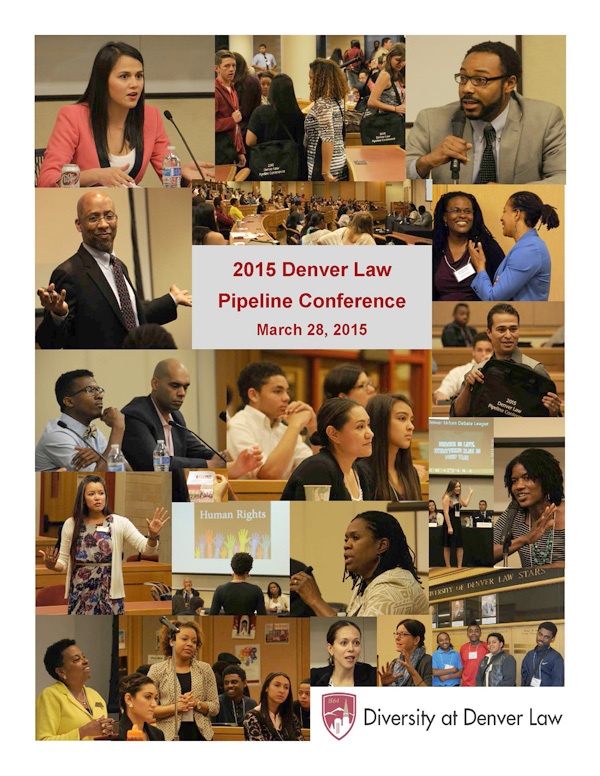 See the 2015 Denver Law Pipeline Conference program here.